Colour the Namib Desert Beetle crawling along the Prickly Pear Cactus plant. Take your time adding colour to the detailed picture and don't forget to read the scientific names of both of these species. 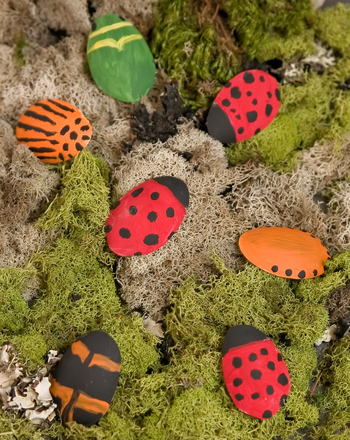 This is a great way to introduce your young nature-lover to new plants and animals without leaving the house! 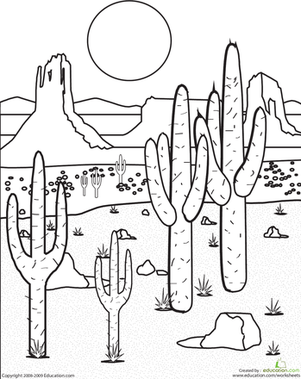 Colour in this desert scene with enough bright shades to make this animated desert bird come to life! This coloring page features a beautiful desert flower for your young botanist to colour in: the desert lily! Do these desert horned lizards look friendly or angry? It's a little hard to tell with all those scary horns sticking out. 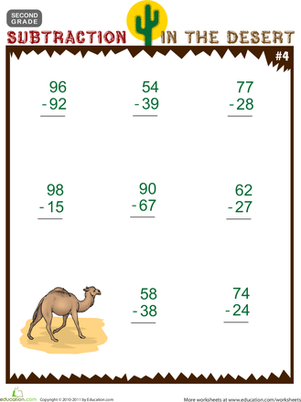 This colorful worksheet offers double-digit subtraction problems in a warm, desert setting. 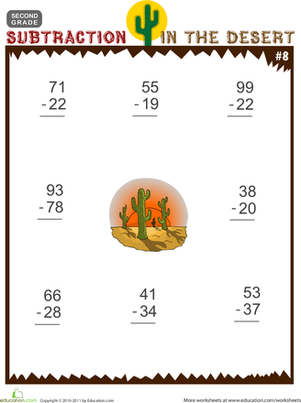 Warm up your second grader's subtraction practise with this cheerful, desert-themed printable. 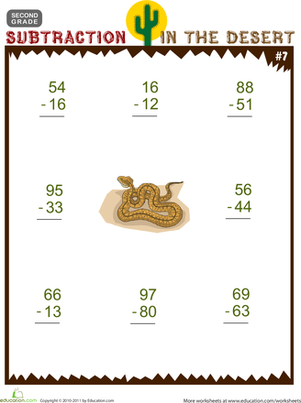 Spark your second grader's interest and give her valuable subtraction practise with this colorful, desert-themed printable. 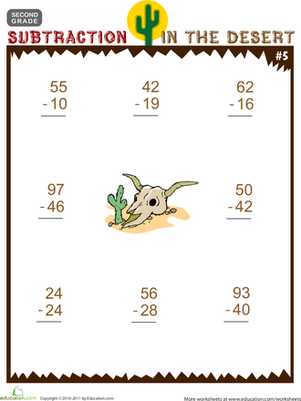 Change it up with this cheerful, desert-themed subtraction printable! 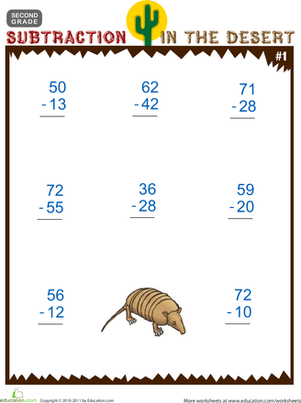 Try out this charming, desert-themed worksheet with your second grader! This colorful, desert-themed worksheet will do the trick! He won't mind practising maths when it involves this desert-themed printable!